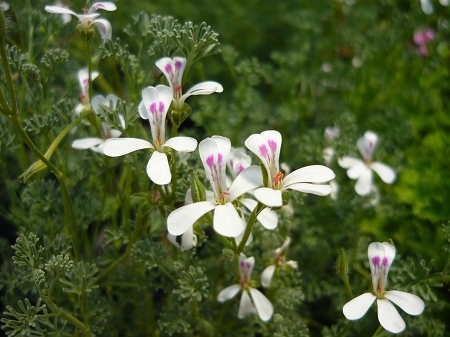 Southernwood Scented Geranium (pelargonium abrotanifolium) - Lacy gray green leaves reminiscent of southernwood (artemesia), pleasant spicy-woodsy Artemisia scent. Delicate white flowers when in bloom. Perennial zones 10-11+ Live plant in 3 inch container.